Notes: Between 1876 and 1903 the North Eastern Railway built (or rebuilt) at least 14 of its minor stations to feature overtrack buildings; almost all of these were in Northumberland and Durham, and Millfield was one of them. The station was probably rebuilt in 1890 to provide enlarged booking facilities at what was a busy station - in 1911 87,469 tickets were issued - and ease of access for passengers directly from Hylton Road bridge. The new station was immediately north-west of its predecessor. The earlier station was to lose its platforms, but the station building survived until at least the late 1960s. From the austere brick-built overtrack structure ramps descended to both platforms, and shelters were placed, facing each other, a little to the north-west of the ramp ends. Immediately north-east of the down platform was a siding serving a coal depot; however the bulk of the goods facilities remained south-east of Hylton Road, south of the earlier station, where (as shown on an OS plan of 1919) there were seven sidings and a crane (five-ton) on the down side of the passenger tracks. NER records of 1913 state that flour and bran, ale and ale empties and glass were the principal goods handled. The 1904 RCH Hand-book of stations notes that nearby sidings served Bishopwearmouth Steam Mills; Chapman’s Steam Bakery; Dowson’s Slate Yard; Greener’s Glass Works; Jobling’s Cask Yard; Millfield Landsale; and West End Landsale Depôts. 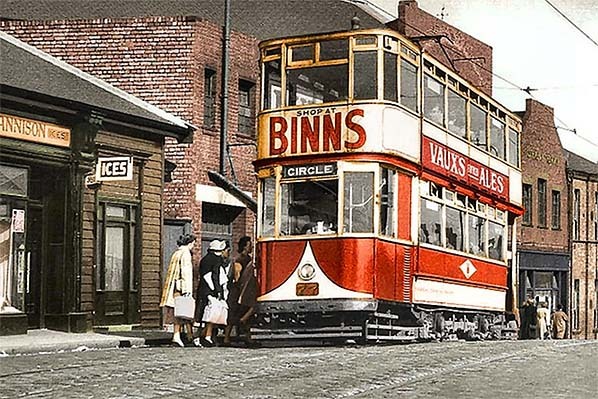 From the late nineteenth century road trams began to compete with the railways, and a tram route followed Hylton Road past the entrance to Millfield station. From 1900 Sunderland’s tram network was electrified. As on Tyneside and in numerous other urban areas the cheap and frequent trams services, and later motor buses, enticed passengers from ‘inner city’ railway stations: Millfield was such a station. Whereas on Tyneside the suburban routes north of the river were electrified by the NER in 1904 (followed much later by the South Shields route by the LNER in 1938) to hold their own against the trams, this was not attempted in Sunderland until the arrival of Metro trams in 2002. On Tyneside the regularity and frequency of suburban trains was also enhanced, but the commuter line train service between Sunderland and Durham changed little between 1896 and 1920. In 1923 at the Grouping of Britain’s railways the NER lines, and thus Millfield station, were allocated to the London & North Eastern Railway. At nationalisation in January 1948 the former LNER lines and stations in north-east England were placed within the North Eastern Region of British Railways. BR showed little inclination to modernise the station, which retained gas lighting. This is no surprise as use of the station had declined substantially with only 9,005 tickets issued in 1951; at the neighbouring station of Pallion 15,641 tickets were booked, and 54,250 at Hylton. By the time of the 1952 table shown below several trains omitted calls at Millfield, notably in the morning. However it still enjoyed a Sunday service of five calls in each direction, and the station continued to be served on Sundays until summer 1954. As a result of declining custom at Millfield the station closed to passengers on 2 May 1955, however its goods facilities remained in use. 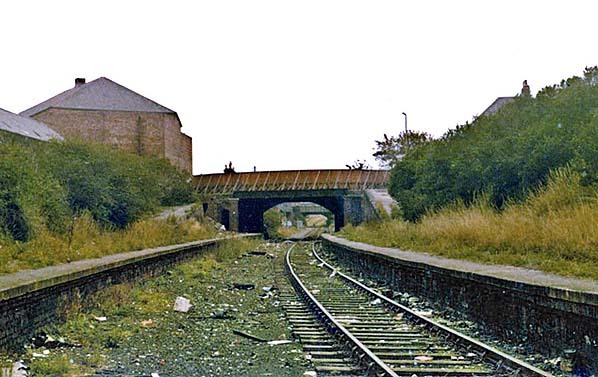 The line from Pallion, through Millfield to Hendon (Sunderland), closed to goods traffic on 27 November 1984. It is not known whether this was when Millfield station ceased to handle goods, or whether it was at an earlier date. 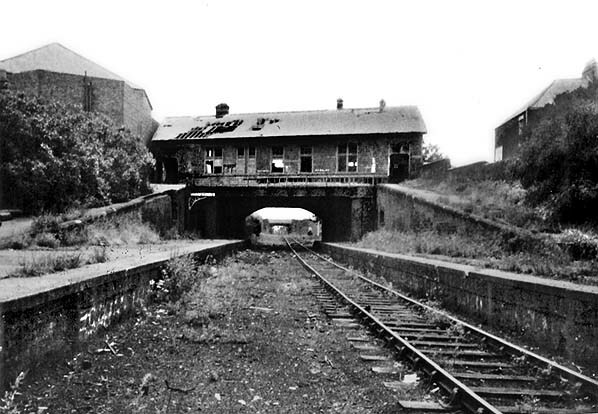 The second passenger station fell derelict after closure, but the overtrack building survived until demolition in October 1975, and the supporting structure was dismantled in February 1978; the platforms were still standing in 1987. As part of the Sunderland extension of the Tyneside Metro tracks were re-laid between Sunderland and South Hylton, some on a new alignment. A (third) station is provided at Millfield on the site of the first, and it opened to passengers on 31 March 2002. BRIEF HISTORY OF THE SUNDERLAND TO DURHAM (AND BISHOP AUCKLAND) VIA LEAMSIDE LINEDespite its name the Durham & Sunderland Railway (D&S) – not via Leamside – never did reach Durham City. Its route from South Dock, Sunderland, extended through Murton to Haswell (where the Hartlepool Dock & Railway Company already had a terminus) which opened in 1836, with a branch from Murton through Hetton, Pittington and Sherburn House to Shincliffe, two miles south-east of the Durham City centre, which opened in 1839. 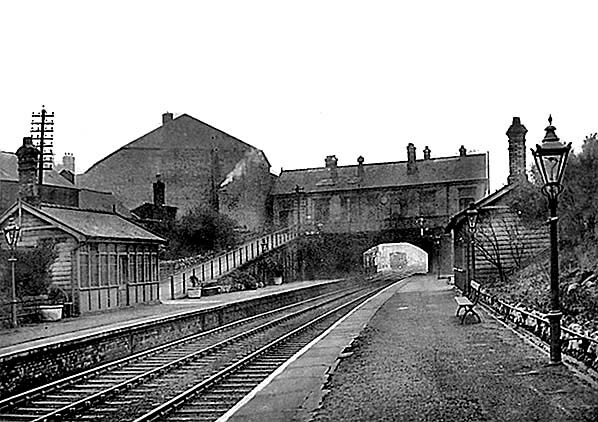 The North Eastern Railway eventually diverted the line from Shincliffe to terminate in Durham at Elvet station in 1893. In an Act of 27 July 1846 the Newcastle & Darlington Junction Railway (see ‘Old Main Line’ history) was authorised to build a line from Pensher (later known as Penshaw) to join the D&S Railway at Sunderland. The line was known as the Painshaw Branch (another variation on the spelling of Penshaw). From Sunderland as far as Penshaw the line followed the River Wear valley but its route was generally some distance from the river to avoid a meander near Hylton and to serve the communities which were growing south of the river. The line opened on 20 February 1852 for goods traffic and 1 June 1853 for passengers. The terminus in Sunderland was Fawcett Street station, which opened on the same day on the southern edge of the developing commercial centre of the town. The Bishop Auckland branch from Leamside via Durham opened to passengers on 1 April 1857. Beyond Leamside, at Auckland Junction (later known as Leamside Junction) it swung westwards from the route to Ferryhill, crossed the River Wear on a viaduct, then sharply south-west to reach Durham City. The curious dog-leg in the route enabled the line to follow the intended course of the moribund YN&B project of 1848: see details in the section below on the ‘new’ main line. Durham City’s centre is densely built up on the narrow, steep-sided peninsula within a meander of the River Wear, dominated by the cathedral and castle; the railway did not enter this historically important area, but passed by to the north-west, where a substantial viaduct was necessary and the city’s station was found. The Leamside – Bishop Auckland branch now provided an alternative route between Durham and Sunderland, far more convenient than via the Durham & Sunderland’s Shincliffe (for Durham) terminus – which was abandoned in 1893 when the D&S was re-routed to a terminus at Durham Elvet. On the day the Bishop Auckland branch was opened the branch from Belmont Junction to Durham Gilesgate closed to passengers: this had been opened by the N&DJ on 15 April 1844, providing the first station in Durham City. From 1857 Leamside station enjoyed some importance as the de facto junction where trains to and from Sunderland and Durham connected with the services on London Kings Cross – Newcastle – Edinburgh main line. Fencehouses or Penshaw could equally have been awarded this status, but Leamside station, in its remote rural surroundings, was rebuilt with an island platform and bays at each end to accommodate the connecting services and allow convenient interchange by passengers. Its importance was short-lived and was suddenly removed when the new main line route between Ferryhill and Newcastle via Durham opened in 1872. Leamside station was now an extravagance, with little local population to serve; conversely the splendid Durham viaduct, originally serving only the Leamside – Bishop Auckland branch, was now a prominent feature of the main line providing a vantage point from which millions of passengers would be able to admire Durham and its cathedral. In Sunderland the inconvenient gap between Monkwearmouth, the terminus of trains from Newcastle and South Shields on the north bank of the River Wear, and the lines from the south was closed in 1879 when in the ‘Monkwearmouth Junction’ project a bridge over the river and a tunnel under the town centre were constructed together with a new station known either as Sunderland (or Sunderland Central). From August 1879 Fawcett Street station closed and trains on the Durham line ran into the new station. The Central station also replaced the Hendon terminus, formerly used by trains to Seaham and West Hartlepool. As with most lines in northern County Durham the Sunderland – Durham route carried large quantities of goods and mineral traffic, notably coal. Several collieries were directly linked to the line, and there were branches into shipyards and Deptford staiths on the Wear as well as to the Hudson, Henson and South docks on the coast. Expecting that coal exports from Sunderland’s South Dock would increase, the North Eastern Railway and local authorities jointly funded the construction of the Queen Alexandra Bridge, to carry both rail and road traffic in the manner of High Level Bridge between Gateshead and Newcastle. The NER paid £325,000 (including railway approaches) while Sunderland Corporation contributed £146,000 and Southwick Council a further £11,000. The new bridge and associated lines would enable coal from the ex-Stanhope & Tyne line to reach South Dock, eliminating reversals at Washington and Penshaw, using instead a mineral line from Southwick Junction (between Washington and Boldon) over the new Queen Alexandra Bridge, then the Sunderland – Durham line from Diamond Hall Junction (just west of Millfield station). The bridge opened in 1909, but from the NER perspective it was a financial disaster since it apparently carried one coal train per day until the early 1920s when regular traffic ceased. Passenger services on the Sunderland – Durham line remained frequent. However from the 1920s motor buses began to provide a more intensive service and linked the numerous mining villages and towns in north-east Durham. The ‘Old Main Line’ south of Leamside lost its passenger services in 1941. On the Sunderland – Durham route, apart from the very early loss of Frankland station, between Leamside and Durham, in 1877, casualties began with Leamside in 1953, followed by Millfield in inner Sunderland in 1955. Diesel multiple units replaced steam haulage on the route during 1957. Further economies were exercised when Pallion and Penshaw were downgraded to ‘staffed halts’ and Cox Green became an ‘unstaffed halt’ on 14 August 1961. Passenger traffic censuses in summer 1962 and winter 1962-3 showed a respectable level of use on Monday-to-Friday of Hylton and Pallion stations, but limited traffic at the other stations, notably Cox Green. The Reshaping of British Railways (‘Beeching’) report of March 1963 recommended the withdrawal of passenger services between Sunderland, Durham and Bishop Auckland - as well as the services between Newcastle and Washington - and the official proposal of closure was published on 19 July 1963. Not a single objection was lodged to the Washington closure, which took place on 9 September 1963. BR must have been unprepared for the lack of resistance to this closure as a timetable for Usworth and Washington stations appeared in the winter 1963-4 North Eastern Region book. On 28 February 1964, having considered objections to the Sunderland – Durham – Bishop Auckland proposals, Ernest Marples, Minister of Transport, consented to the closure, and services were officially withdrawn on 4 May 1964. The author was blissfully unaware of this development, and alighted from a Newcastle train at Durham on 15 May to catch the Sunderland train, only to be informed that the last one had gone! He decided to travel on to Darlington and Middleton-in-Teesdale instead – which was still open. Goods services ceased between Leamside (Auckland Junction) and Durham (Newton Hall Junction) and at Finchale siding (Frankland) on 22 October 1964. 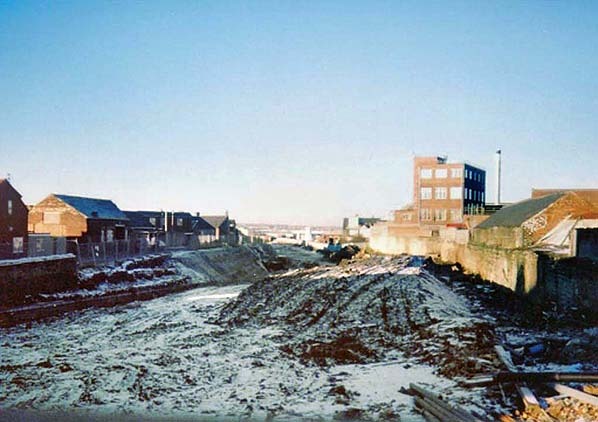 The tracks into the former Fawcett Street terminus in Sunderland, which had continued as a goods facility reached from the Durham line, were severed on 3 October 1965. Goods services were retained between Penshaw and Sunderland until 21 August 1967 when they were discontinued west of Hylton Quarry sidings. 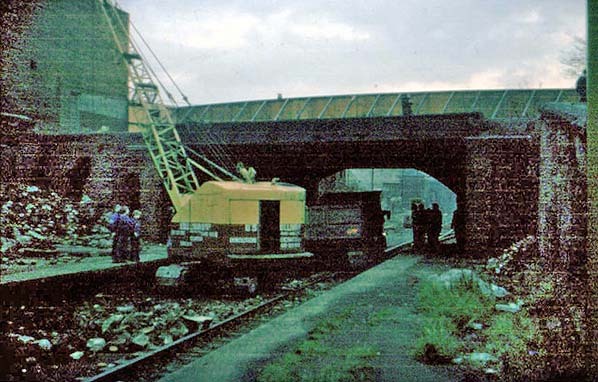 In 1971 the line from Pallion to Ford paper works at Hylton was singled and ceased to be signalled when the factory closed, but Dolomite from Hylton Quarry continued to be carried until 1976 when the line was cut back to Pallion; it was officially taken out of use on 20 November 1976. The remainder of the line to Hendon, including Deptford Johnson Siding closed to goods on 27 November 1984. 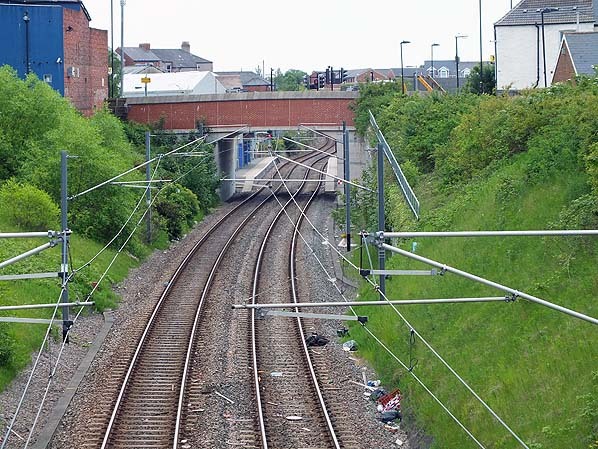 The section of the ‘Old Main Line’ which the Sunderland – Durham services shared between Penshaw Junction and Auckland Junction continued in goods use for some years more, but was ‘mothballed’ in 1991 and closed in 2012. Tickets from Michael Stewart. Bradshaw from Chris Totty. Route maps drawn by Alan Young. This view of Millfield second station, looking south-east, dates from about 1950. By this time the station booked few passengers, as cheaper and more frequent road public transport was preferred. 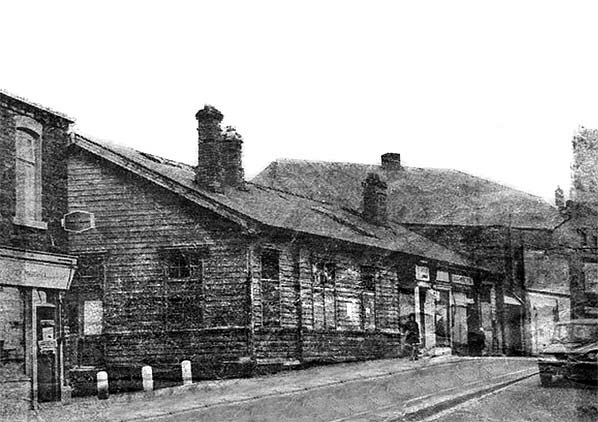 The buildings date from the opening of the station in 1890; the booking and office facilities were in the overtrack building, and the two small buildings provided shelter and warmth for passengers – note the chimneystacks! The station is gas lit, with the original posts and casement tops in place. 1896 1:2,500 OS map. The second Millfield station opened in 1890 and is named on this map of 1896. The overtrack office building, the two platforms and their waiting rooms are shown,and a siding is in place behind the north-east platform, reached from the west .Beyond Hylton Road bridge, with its tram lines, the first station’s building and the signal box are seen north-east of the railway tracks. The northern end of Millfield’s goods facilities adjoin the first station. 1919 1:2,500 OS map. 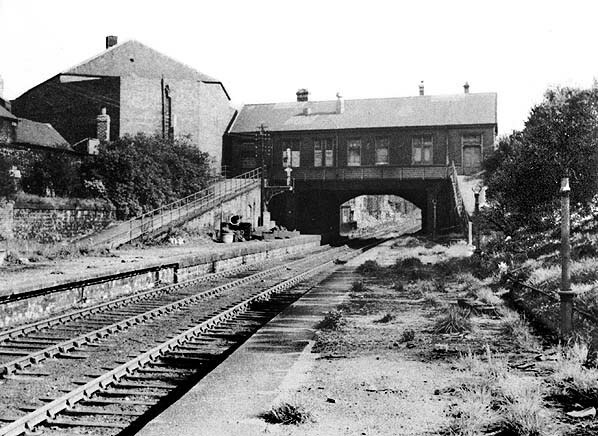 Millfield second station is seen in 1919, little changed from the map of 1896, but the siding behind the down platform is now identified as serving a coal depot. The first station remains as before, but this map allows the extensive goods facilities which adjoin it to the west. to passengers in May 1955. In 1966 Millfield second station has been closed to passengers for eleven years, but both railway tracks and platforms and the overtrack building remain in place. Ironwork has still not been salvaged, with lamp posts and the railings on the ramps from the entrance to the platforms surviving. This view is south-eastwards on the up (Penshaw-bound) platform, which still appears to be in good repair though vegetation is encroaching. Millfield second station is substantially intact c1975 as seen here in this south-eastward view. The platforms survive, and the overtrack building is in place but looks neglected. The single track extends towards Pallion and will remain in use for freight traffic until 1984. The frontage of Millfield second station is seen in 1975, looking north on Hylton Road, twenty years after it closed to passengers. This was one of at least fourteen ‘overtrack’ buildings constructed at stations in the late nineteenth and early twentieth centuries by the North Eastern Railway. The large building beyond is a cinema. In January 1978 demolition is underway at Millfield second station street level building. It will be noted that a single railway track was still in place at this time. The view is south-eastwards. In March 1987 Millfield second station still has its platforms, but the railway track has been removed after goods services towards Pallion were discontinued three years earlier. This view is south-eastwards. 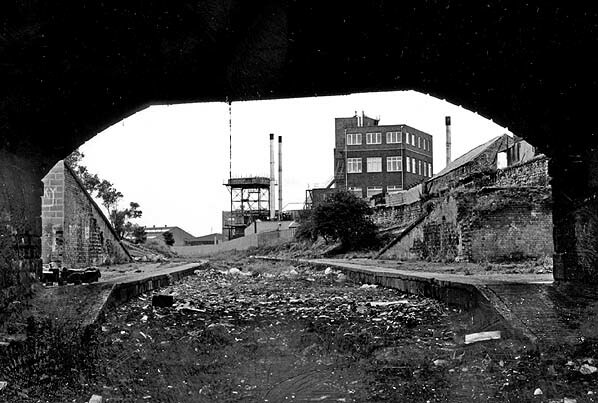 Millfield second station looking north-east in March 1987 from under Hylton Road bridge. The two platforms are in place, but the rails have been removed since the goods services towards Pallion ceased in 1984. Looking north-eastwards across the site of Millfield second station in December 2000 from the same viewpoint as the pictured above. Construction of the Metro is underway. Millfield 2nd station. Looking south-east from the footbridge at the end of Milton Street towards the site of the second Milton Station in June 2013. 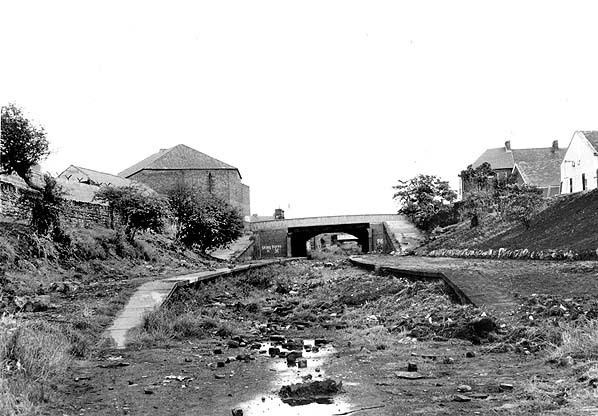 The station was on the north side of Hylton Road bridge which is seen in the distance. All trace of the station was lost during the construction of the Tyne & Wear Metro. Note that during Metro building the sides of the cutting have been considerably filled in, thus obliterating the site of the station platforms.